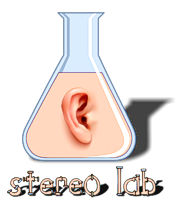 Download all models of Stereo Lab here. Instructions and further information about downloads is available here. If you have any problems with the in-app registration procedure, please contact sales@pspatialaudio.com We are always happy to answer questions about this procedure prior to, or after, your purchase. 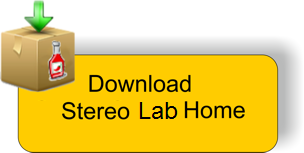 The free-trial Stereo Lab Demo model offers full functionality, but is limited to half track length or two minutes per treatment, and to 10 treatments per process. Click on the download for an automatic email to be generated. When we receive the email, we will send you a copy of the demo software by return. After downloading a paid version of Stereo Lab, you can enable its enhancements and other features from within the application using the FastSpring secure purchasing interface. We accept all major credit cards, PayPal, bank transfers, checks and more. The following currencies are accepted: Australian Dollar, Brazilian Real, British Pound, Canadian Dollar, Chinese Yuan, Czech Koruna, Danish Krone, Euro, Hong Kong Dollar, Indian Rupee, Japanese Yen, New Zealand Dollar, Polish Zloty, Russian Ruble, Singapore Dollar, South African Rand, Swedish Krona, Swiss Franc and U.S. Dollar. For more information go to FastSpring Payment Methods and Security.